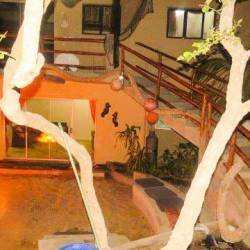 Barra Beach Club is a luxury Boutique Hotel on Barra Beach. Rates from R3,300.00 for a Double Room including Breakfast and Dinner. 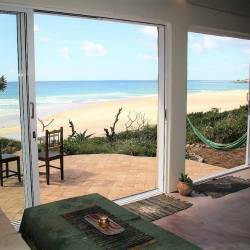 Barra Beach Club is an exclusive boutique hotel is situated on a secluded stretch of beach in Barra, Inhambane. Offering marvellous, elegantly styled accommodation created from natural woods and material. All rooms are en-suite, air-conditioned and have DSTV. The Deluxe Lodge Rooms are situated in the main building, the Deluxe Ocean Rooms have private gardens and the sumptuous Presidential Honeymoon Suite is a separate, spacious ultra-luxury suite with private garden and outdoor shower. 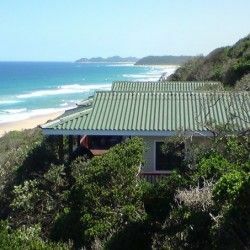 With kilometres of silky white sands and sapphire blue waters on the front doorstep – refreshments are delivered directly to your thatched beach umbrella or poolside whilst relaxing on a comfortable recliner. The hotel’s dining area has an extensive menu and wine list, or you may prefer to dine at the trendy Aqua de Coco's – the stylish ‘beach bar’ situated alongside the hotel. The comfortable upstairs lounge is a good spot to relax for afternoon tea on the not-so-sunny days. A perfect venue - not only for a luxurious beach holiday - but for weddings, honeymoons and meetings as well.